Attention all Flemish developers looking for (additional) funding! The next VAF Gamefonds (Dutch only) call for serious, educational and entertainment games will be on September 29. There’s still a whole summer ahead of you, but it’s better to start preparing your application well in advance. On December 8 VAF Gamefonds will announce which games will receive funding. We recommend that you download the application presentation (Dutch only) created by VAF commission members, which includes some very handy do’s and dont’s about applying. You can also contact VAF Gamefonds directly for more information. 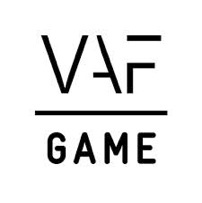 The VAF Gamefonds was created in 2012 to stimulate the development of games by Flemish studios. Promising games currently in development that already enjoyed funding are Sicilian Rampage by Crazy Monkey Studios, Winter by Happy Volcano and Flotsam by Pajama Llama Games, to name but a few. Since the end of 2015, you have to submit your application on the online portal MyVAF. You will be able to create your personal account, manage and upload your application directly. You can find out more about the online application (Dutch only) on VAF’s website.